A mid/late 19th century English Arts and Crafts polished wrought iron firegrate. 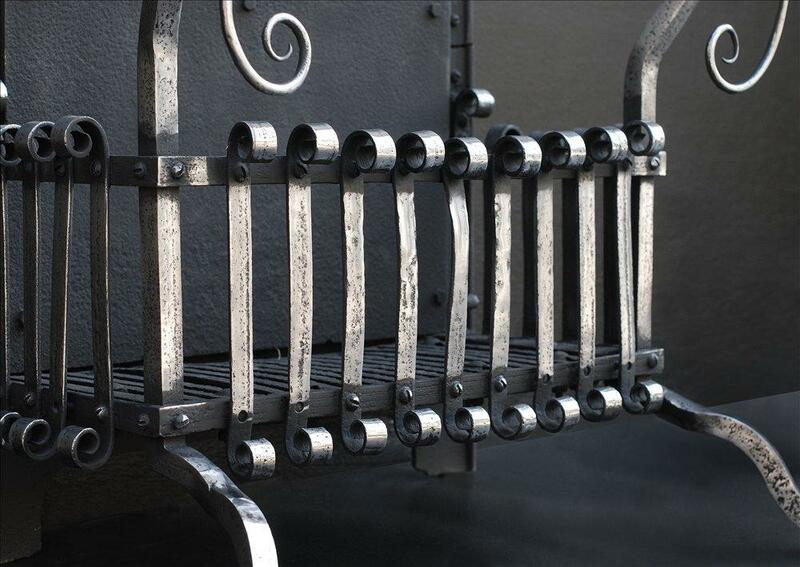 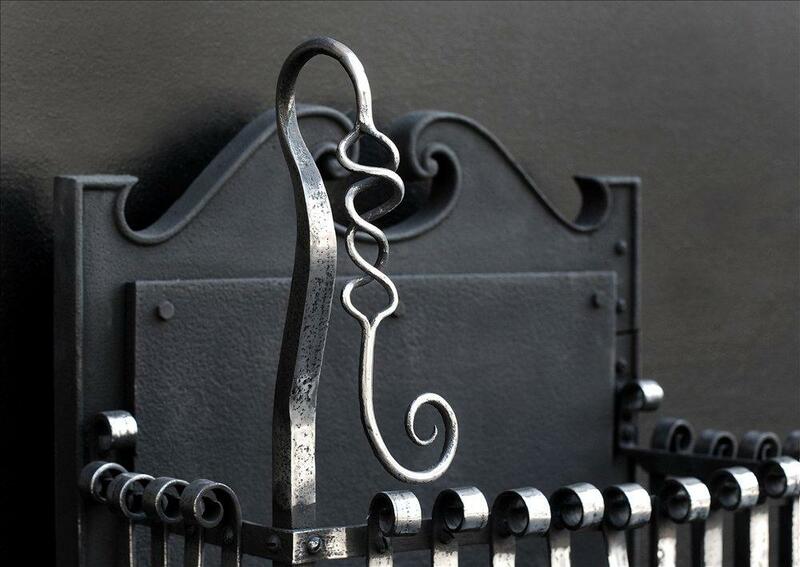 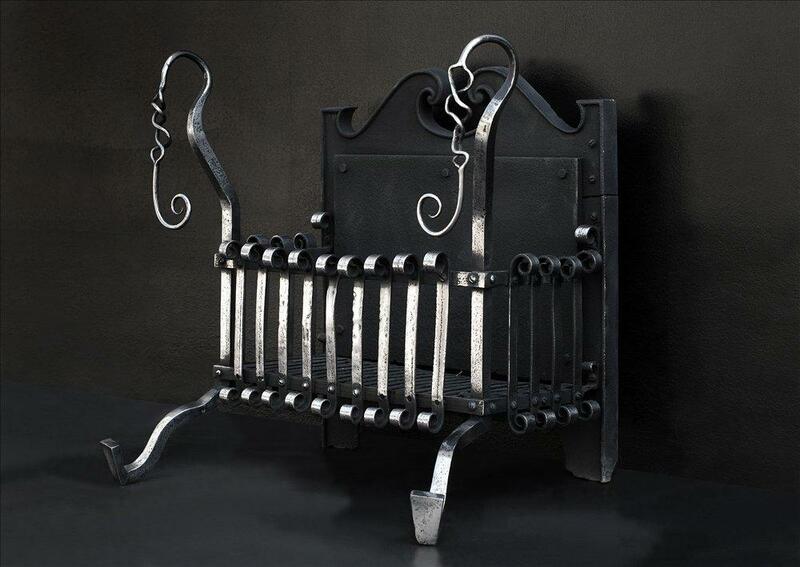 The burning area with polished scrolls surmounted by decorative intertwined wrought iron adornments. 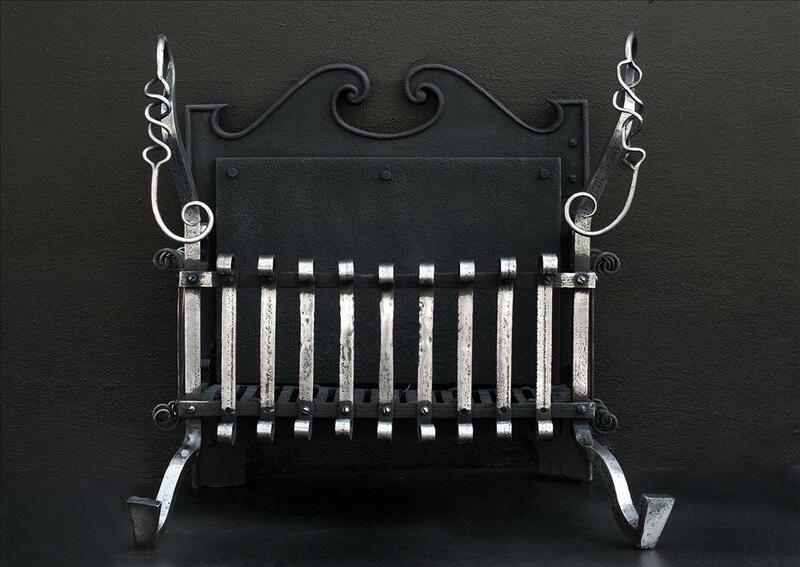 Shaped cast iron back.